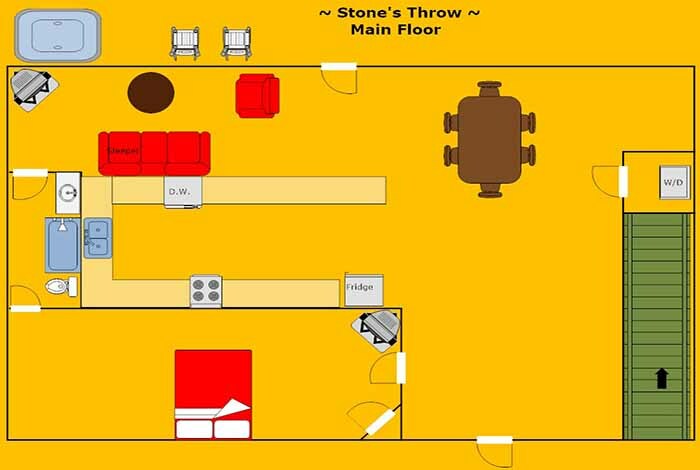 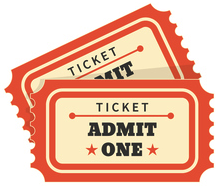 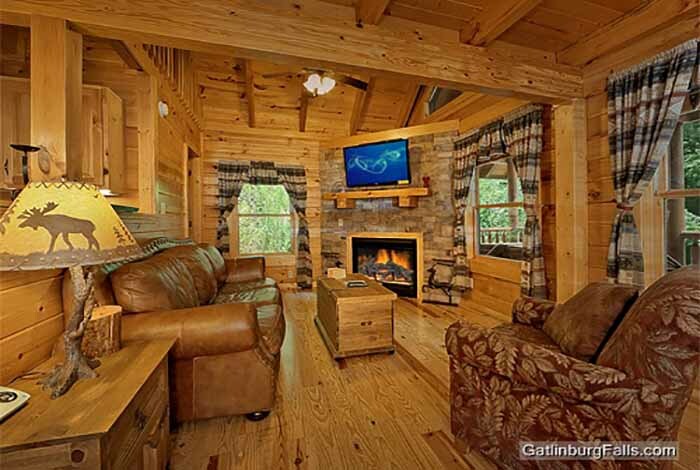 For your next Smoky Mountain getaway choose Stone’s Throw and be exactly that, just a stone’s throw from all the action the Great Smoky Mountains have to offer. 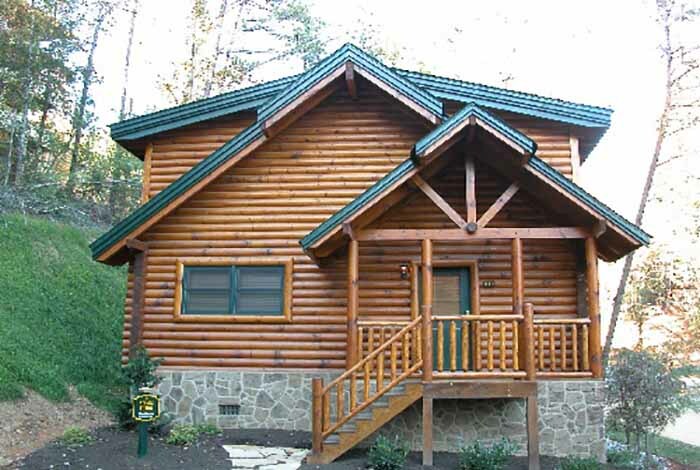 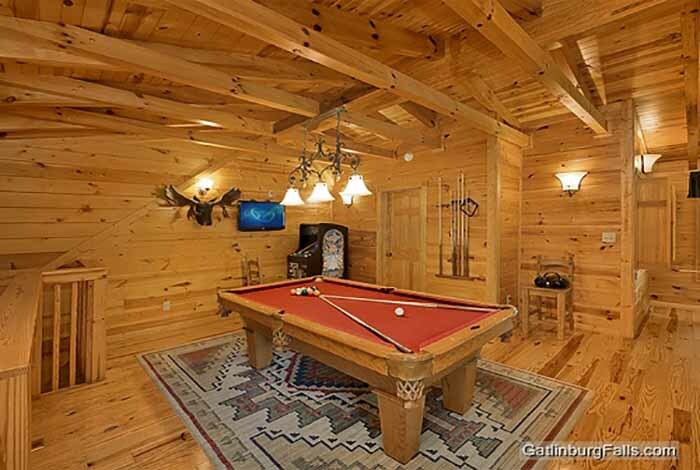 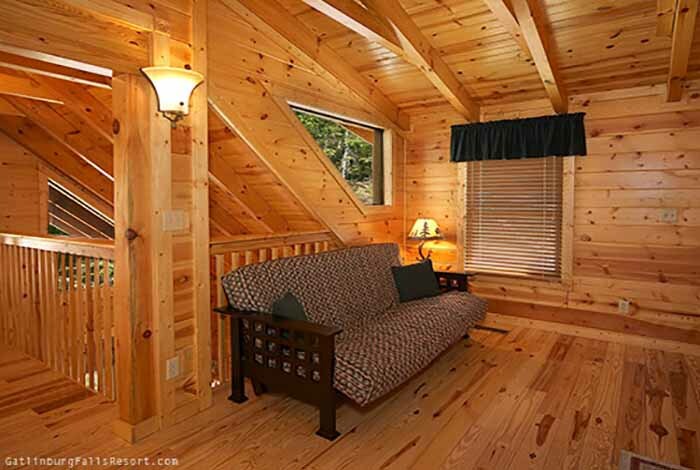 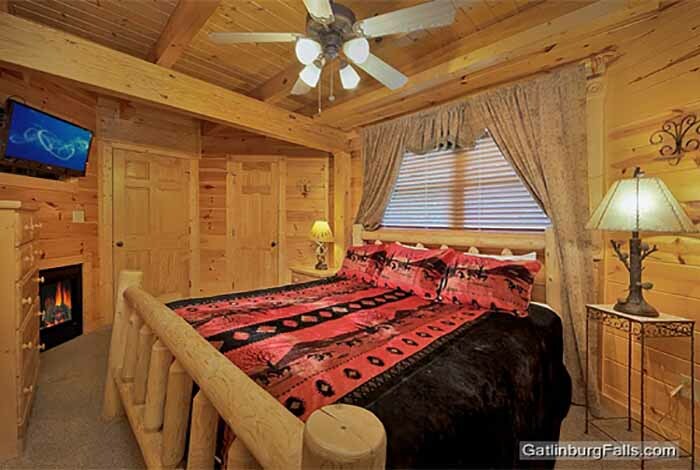 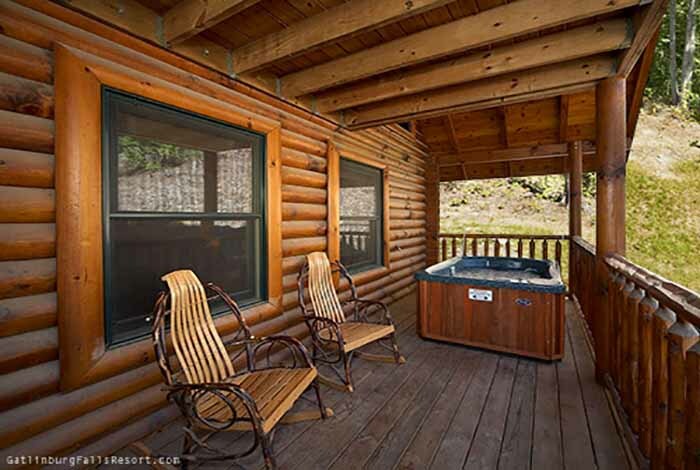 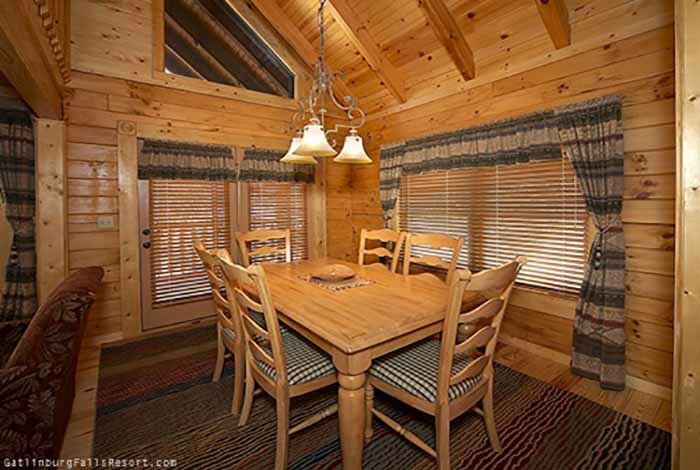 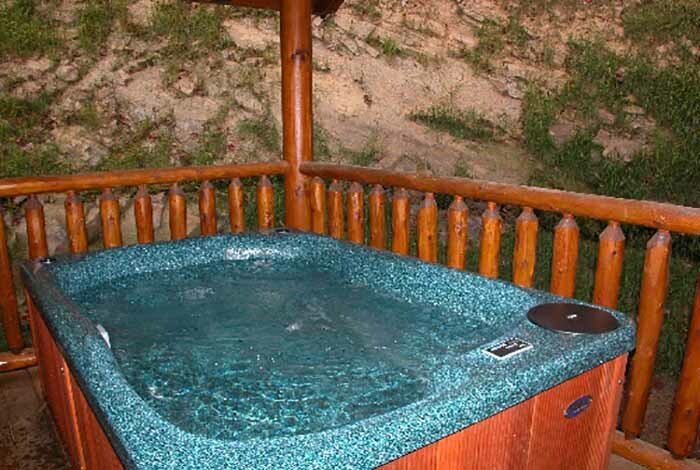 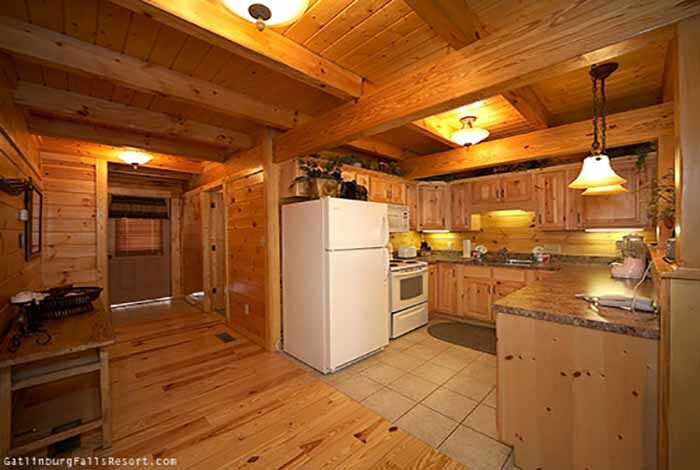 This 1 Bedroom luxury cabin rental in the Gatlinburg Falls Hidden Valley Resort offers beautiful resort views while being just around the corner from downtown Gatlinburg and the attractions of Pigeon Forge. 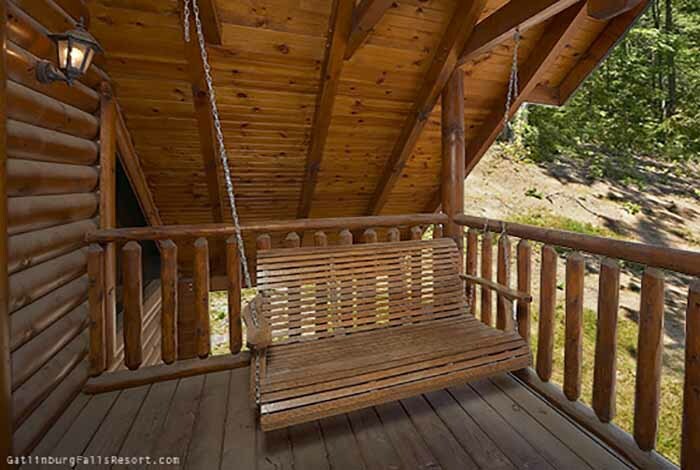 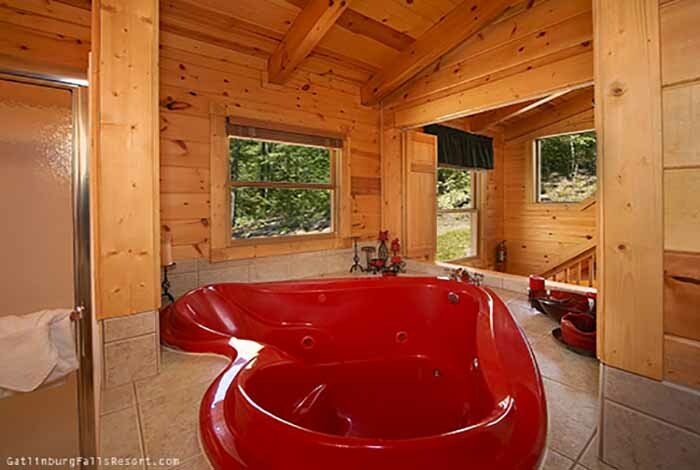 Couples and honeymooners alike will enjoy the many romantic touches this cabin features such as, a cozy deck with a swing for two, hot tub, vertical jetted shower spa and heart shaped Jacuzzi. 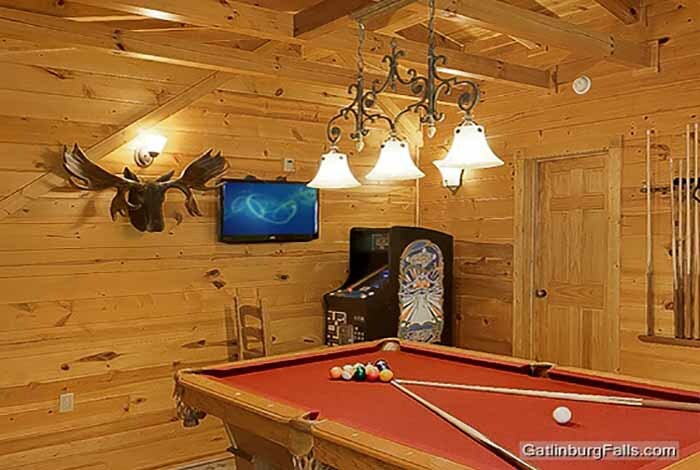 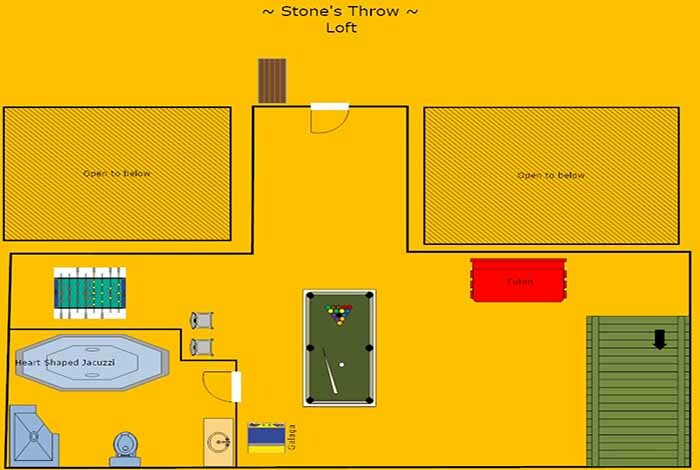 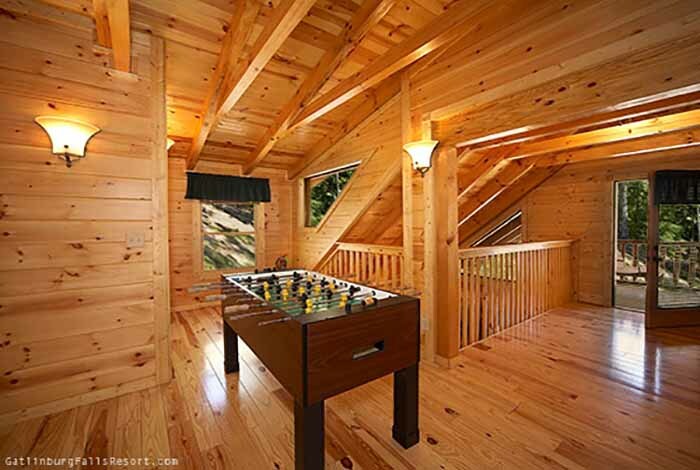 Other amenities include rustic furnishings, pool table, Ms. Pac Man/Galaga arcade game, foosball, BBQ grill, access to resort swimming pool, and your four legged friends are also welcome as this is a pet-friendly cabin.